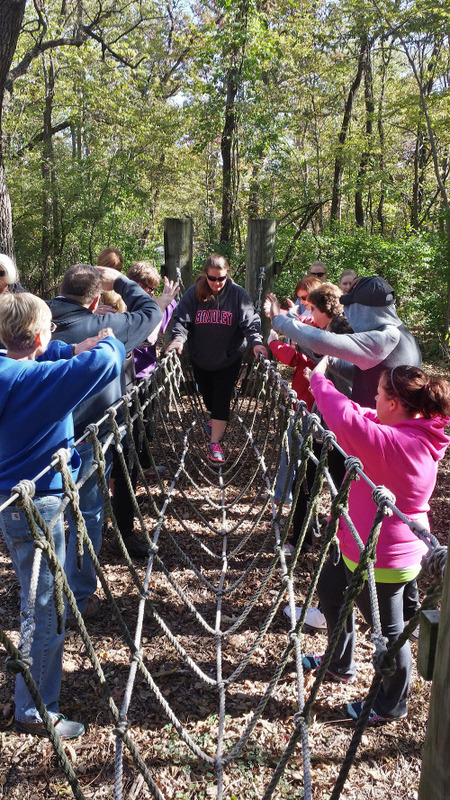 The Rockford Park District’s low-ropes course is perfect for any group looking to work on communication skills, cooperation, and team building. Whether you are looking to build a more efficient and collaborative group, to work on your communication skills, or for a fun and effective way to introduce your team members to each other’s skills and talents, our trained staff can tailor the course to meet the needs of your group. A minimum four hour session is recommended, but can also extend to include a full day or overnight options as well. Please contact us at 815.966.8747 to schedule your group event today!